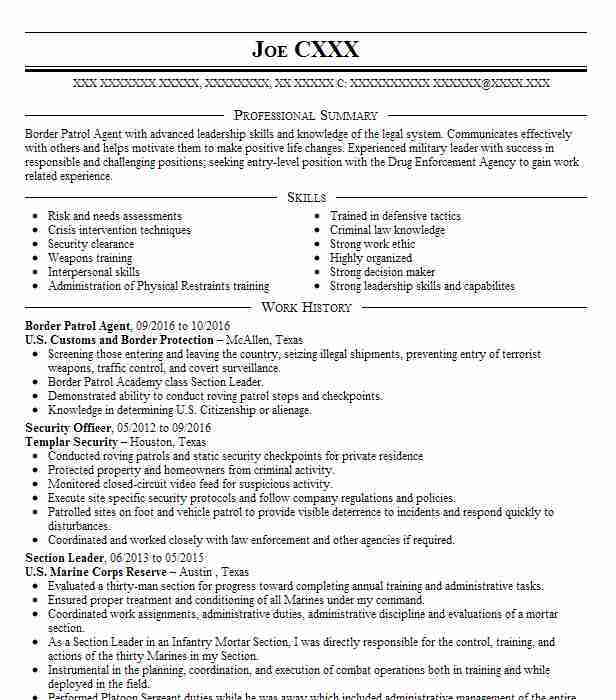 Qualified GL-5 level Border Patrol Agent with a substantial background that demonstrates the ability to take charge make decisions and maintain composure in stressful situations. Adept at working directly with government officials to create and implement successful security policies and procedures. 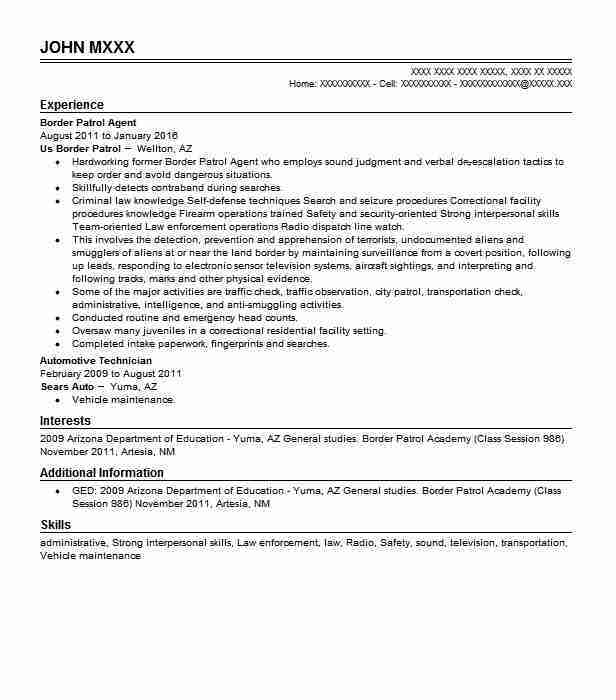 Proven aptitude to maintain interpersonal relationships as well as a propensity to learn law enforcement regulations methods and techniques both on the job and through formal instruction. 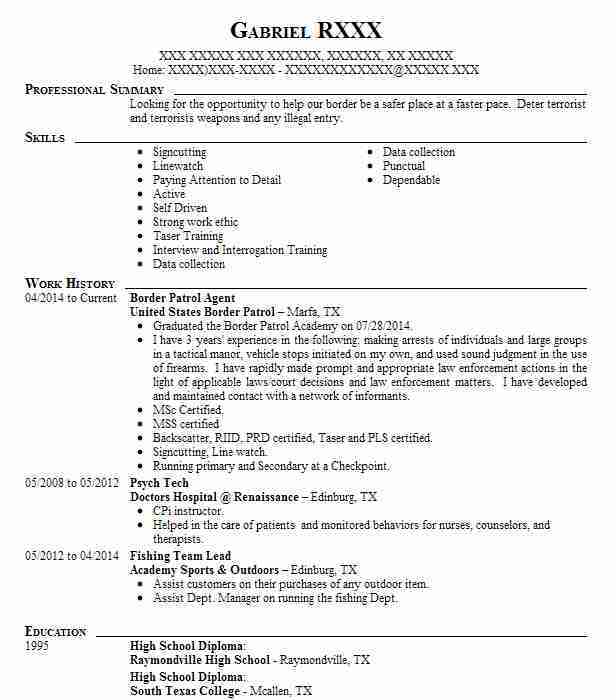 There are plenty of opportunities to land a Border Patrol Agent job position, but it won’t just be handed to you. 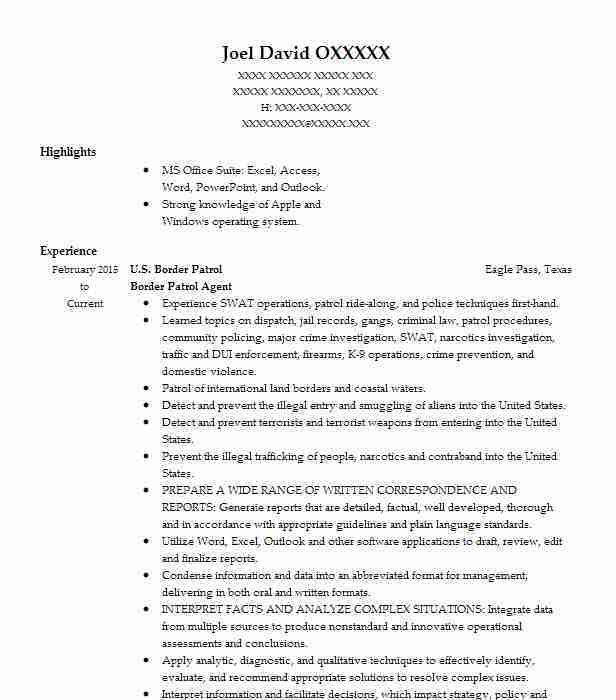 Crafting a Border Patrol Agent resume that catches the attention of hiring managers is paramount to getting the job, and LiveCareer is here to help you stand out from the competition. 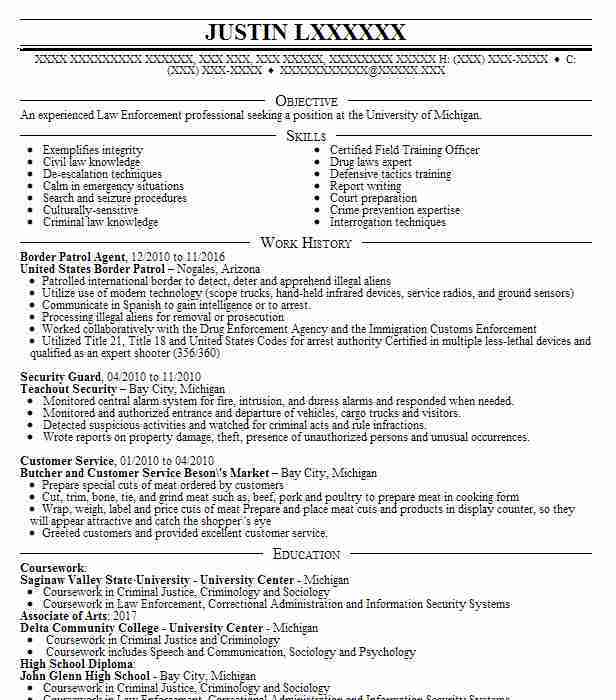 Summary: An experienced Law Enforcement professional seeking a position at the University of Michigan.